White water rafting is the perfect way for sporty teams ! It is by groups of 4 to 8 persons by raft that you could go down the most beautiful rivers of the South of France, close to Nice. Climb aboard this steady and safe boat and slide down white waters. You will discover the splendid landscape of the Verdon Gorges and the secret valleys of the French Riviera. Spend some friendly and refreshing time in full security with a professional and certified guide. Depending on the rivers sizes, white water rafting is accessible for kids as young as 8 years old. 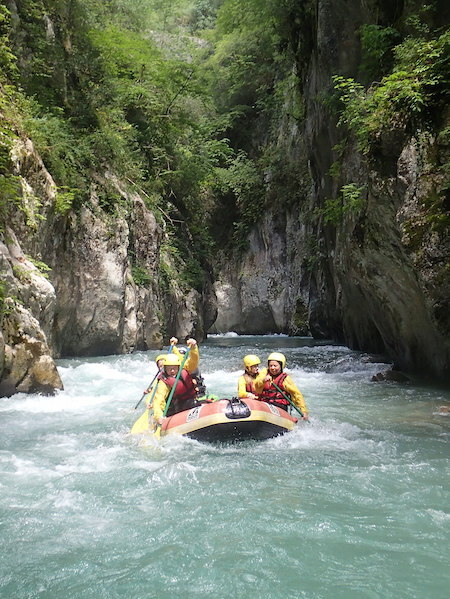 In Springtime (May, June July) when the snow melts, the rivers close to Nice (Vésubie, Var, Daluis…) see their water level increase… It s time to embark on a rafting adventure and ride the most challenging rivers. 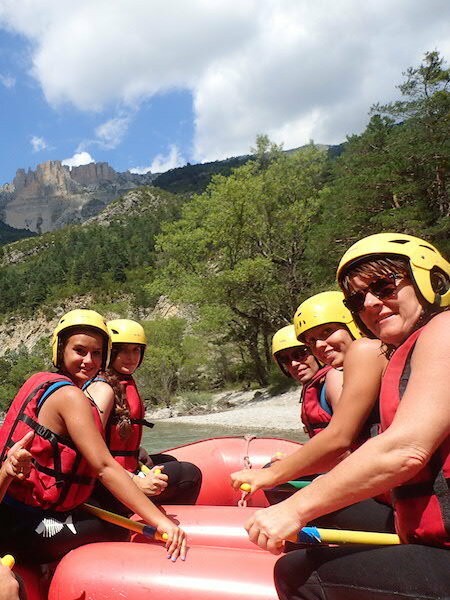 In Summer (July/August) rafting discovery is only possible in the Verdon river. Accessible from the French Riviera by the Napoleon road, the Verdon gorges offer a real breath of fresh air to all people on holidays along the Mediterranean Coast.